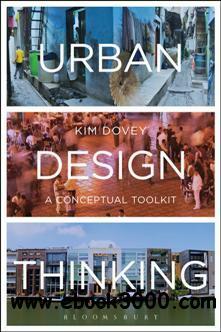 Urban Design Thinking provides a conceptual toolkit for urban design. Bridging the gap between theory and practice, it shows how the design of our cities and urban spaces can be interpreted and informed through contemporary theories of urbanism, architecture and spatial analysis. Relating abstract ideas to real-world examples, and taking assemblage thinking as its critical framework, the book introduces an array of key theoretical principles and demonstrates how theory is central to urban design critique and practice. Thirty short chapters can be read alone or in sequence, each opening a different kind of conceptual window onto how cities work and how they are transformed through design practice. Chapters range from explorations of urban morphology, typology, meaning and place identity to particular issues such as urban design codes, informal settlements, globalization, transit and creative clusters. This book is essential reading for those engaged with the practice of urban design and planning, as well as for anyone interested in the theoretical side of urbanism, architecture, and related disciplines.